The Eleventh Amendment (Amendment XI) to the United States Constitution was passed by Congress on March 4, 1794, and ratified by the states on February 7, 1795. The Eleventh Amendment restricts the ability of individuals to bring suit against states in federal court. The Eleventh Amendment was adopted to overrule the U.S. Supreme Court's decision in Chisholm v. Georgia (1793). In that case, the Supreme Court had held that states did not enjoy sovereign immunity from suits made by citizens of other states in federal court. Thus, the Eleventh Amendment established that federal courts do not have the authority to hear cases brought by private citizens against states. Nonetheless, the Supreme Court has held that Congress can abrogate state sovereign immunity when using its authority under the Bankruptcy Clause or Section 5 of the Fourteenth Amendment. The Supreme Court has also held that federal courts can enjoin state officials from violating federal law. ✪ 11th Amendment: Can you sue the United States? The Eleventh Amendment was the first Constitutional amendment adopted after the Bill of Rights. The amendment was adopted following the Supreme Court's ruling in Chisholm v. Georgia, 2 U.S. 419 (1793). In Chisholm, the Court ruled that federal courts had the authority to hear cases in law and equity brought by private citizens against states and that states did not enjoy sovereign immunity from suits made by citizens of other states in federal court. Thus, the amendment clarified Article III, Section 2 of the Constitution, which gives diversity jurisdiction to the judiciary to hear cases "between a state and citizens of another state". On January 8, 1798, approximately three years after the Eleventh Amendment's adoption, President John Adams stated in a message to Congress that the Eleventh Amendment had been ratified by the necessary number of States and that it was now a part of the Constitution of the United States. New Jersey and Pennsylvania did not take action on the amendment during that era; neither did Tennessee, which had become a State on June 16, 1796. However, on June 25, 2018, the New Jersey Senate adopted Senate Concurrent Resolution No. 75 to symbolically post-ratify the Eleventh Amendment. In Hollingsworth v. Virginia, 3 U.S. 378 (1798), the Supreme Court held that every pending action brought under Chisholm had to be dismissed because of the amendment's adoption. [S]overeign immunity derives not from the Eleventh Amendment but from the structure of the original Constitution itself. ... Nor can we conclude that the specific Article I powers delegated to Congress necessarily include, by virtue of the Necessary and Proper Clause or otherwise, the incidental authority to subject the States to private suits as a means of achieving objectives otherwise within the scope of the enumerated powers. However, Justice David Souter, writing for a four-Justice dissent in Alden, said the states surrendered their sovereign immunity when they ratified the Constitution. He read the amendment's text as reflecting a narrow form of sovereign immunity that limited only the diversity jurisdiction of the federal courts. He concluded that neither the Eleventh Amendment in particular nor the Constitution in general insulates the states from suits by individuals. Although the Eleventh Amendment grants immunity to states from suit for money damages or equitable relief without their consent, in Ex parte Young, 209 U.S. 123 (1908), the Supreme Court ruled that federal courts may enjoin state officials from violating federal law. In Fitzpatrick v. Bitzer, 427 U.S. 445 (1976), the Supreme Court ruled that Congress may abrogate state immunity from suit under Section 5 of the Fourteenth Amendment. In Central Virginia Community College v. Katz, 546 U.S. 356 (2006), the Court ruled the Congress could do the same regarding bankruptcy cases by way of Article I, Section 8, Clause 4 of the Constitution. In Lapides v. Board of Regents of Univ. System of Ga., 535 U.S. 613 (2002), the Supreme Court ruled that when a state invokes a federal court's removal jurisdiction, it waives the Eleventh Amendment in the removed case. The United States Court of Appeals for the First Circuit has ruled that Puerto Rico enjoys Eleventh Amendment immunity. The territories of American Samoa, Guam, Northern Mariana Islands and the Virgin Islands do not enjoy Eleventh Amendment immunity. ^ "Annotation 1 - Eleventh Amendment - State Immunity". FindLaw. Archived from the original on June 25, 2013. Retrieved May 4, 2013. ^ Susan Gluck Mezey, 2006. "The Eleventh Amendment Archived 2017-12-08 at the Wayback Machine". 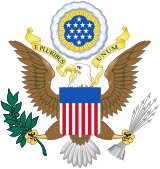 Federalism in America: An Encyclopedia Archived 2017-11-25 at the Wayback Machine. ^ "4 Annals of Congress 477 (1795)". Archived from the original on October 20, 2017. Retrieved April 18, 2014. ^ "4 Annals of Congress 30 (1795)". Archived from the original on February 6, 2018. Retrieved April 18, 2014. ^ "The Constitution of the United States of America: Analysis and Interpretation, Centennial Edition, Interim Edition: Analysis of Cases Decided by the Supreme Court of the United States to June 26, 2013" (PDF). Washington, DC: U.S. Government Printing Office. 2013. p. 42. Archived (PDF) from the original on February 25, 2014. Retrieved April 13, 2014. ^ "7 Annals of Congress 809 (1798)". Archived from the original on February 6, 2018. Retrieved April 18, 2014. ^ e.g., Ramirez v. Puerto Rico Fire Service and Office of Personnel (1st Cir. 1983) Archived 2012-01-05 at the Wayback Machine. Clark, Bradford R. (2010). "The Eleventh Amendment and the Nature of the Union" (PDF). Harvard Law Review. 123 (8): 1817–1918. Archived from the original (PDF) on 15 January 2013.